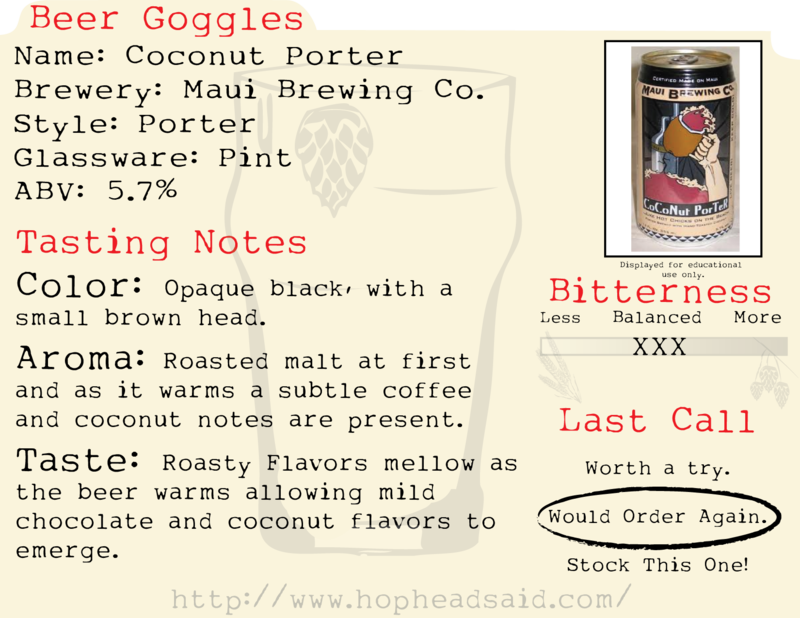 beer.review: Coconut Porter | Hop Head Said . . . Hop Head Said . . .
Beer Reviews, Education and Nonsense. This beer changes characteristics quite a bit as it warms. When the beer is chilled (40° or below) the beer will seem one-sided roasty with an almost unpleasant effervescence. As it warms (45° or higher) the roasty notes mellow and subtle coffee, chocolate and sweet coconut start to reveal themselves creating a wonderful beer you are sure to enjoy. Listen to HopHeadSaid on the radio!